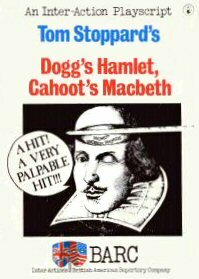 Two one-act plays intended to be performed together; the first act was a conflation of Dogg's Our Pet and The (15 Minute) Dogg's Troupe Hamlet. First performed by the British American Repertory Company (dir. Ed Berman) at the Arts Centre of the University of Warwick, Coventry UK, on May 21, 1979, with a subsequent UK tour which included performances at the Collegiate Theatre, London beginning on July 30, 1979. 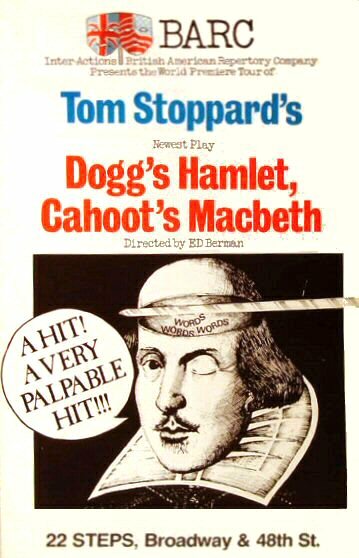 Toured the US, including performances in Washington (Terrace Theatre, Kennedy Center, September), Boston, San Francisco and a New York production at the 22 Steps Theatre, NYC beginning on October 3, 1979.